MBTN authors are experts in their respective fields with hundreds of years of both classroom and real world experience. Our authors are faculty at world class institutions such as the Darden School of Business (UVA), Ross School of Business (Michigan), Ivey Business School and others. We’re actively seeking new authors in the fields of statistics, finance, and operations. Please contact us if you’re interested in joining our team! Phillip E. Pfiefer is the Richard S. Reynolds Professor of Business Administration at the University of Virginia’s Darden School of Business. 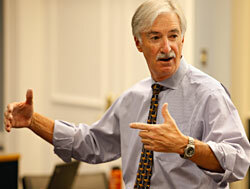 Phil teaches Marketing and Quantitative Analysis courses in Darden’s MBA and Executive Education classrooms. His research focuses on the areas of direct marketing and decision modeling. He has written or co-written over 40 journal articles, more than 80 Darden cases and several textbooks. Pfeifer joined the Darden faculty in 1980. 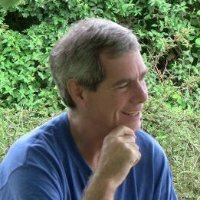 He was previously a research engineer at the Georgia Institute of Technology. 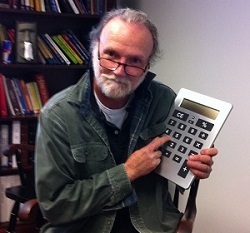 He is co-author of Marketing Metrics: The Definitive Guide to Measuring Marketing Performance. 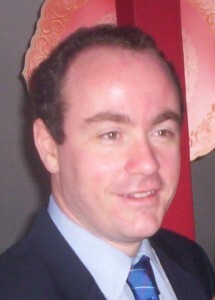 Neil Bendle is an assistant professor of marketing at the Ivey Business School in London, Ontario. He has a PhD from the Carlson School of Management, University of Minnesota, an MBA at the Darden School of Business, University of Virginia, and also studied ancient history studies in England at Liverpool and Nottingham Universities. Neil is a Fellow of the Association of Chartered Certified Accountants and has worked in a variety of roles with his most significant work experience coming from managing the finances of the Labour Party in the UK. Niel is also is co-author of Marketing Metrics: The Definitive Guide to Measuring Marketing Performance. At Ivey, Neil teaches Competition and Competitor Analysis (a combination of game theory, marketing strategy and decision making) and Measurable Marketing (a combination of marketing and finance, consumer insights and how numbers should, or occasionally shouldn’t, drive marketing strategy). His PhD Decision Making seminar focuses on decision theory, behavioural/experimental economics and evolutionary theory. Robert Robicheaux is Marshall Scholar, Professor of Marketing and Chairman of the Department of Marketing, Industrial Distribution and Economics at the Collat School of Business at the University of Alabama at Birmingham. 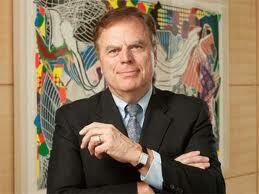 He maintains an active research and teaching program that centers on retailing and strategic distribution issues. Bob earned Bachelor of Science (1969), M.B.A. (1972) and Doctor of Philosophy (1974) degrees in Business Administration from Louisiana State University. His research is published in the Journal of Marketing Research, Journal of Marketing, Journal of the Academy of Marketing Science, Journal of Retailing, Journal of Business Research, Journal of Managerial Issues and other business and marketing journals. Bob was recognized in the Marketing Educator (American Marketing Association, Summer 1997) as one of the Best Researchers in Marketing. He has been designated a Fellow of the Society for Marketing Advances in recognition of a lifetime of service and achievement. Ronald T. Wilcox, NewMarket Corporation Professor of Business Administration and Associate Dean of the MBA for Executives Program, teaches the required Marketing course in the MBA and Executive MBA programs, the Pricing elective, and numerous Executive Education programs. 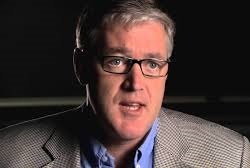 His research and writing have appeared in the Wall Street Journal, Washington Post, BusinessWeek, Fortune, and Forbes, as well as in leading marketing and finance journals such as the Journal of Marketing Research, Management Science, and Marketing Science. He is also co-author of Cutting Edge Marketing Analytics: Real World Cases and Data Sets for Hands On Learning. Thomas C. Kinnear is Eugene Applebaum Professor of Entrepreneurial Studies, Executive Director of the Samuel Zell and Robert H. Lurie Institute for Entrepreneurial Studies, and Professor of Marketing at the University of Michigan Business School. Previously, Tom served as Senior Associate Dean of the Business School and Vice President for Development and Executive Officer for the University. At Michigan, he has received awards for teaching excellence and service to the University. He holds an undergraduate degree and an LLD from Queen’s University at Kingston, Ontario, an MBA from Harvard University, and a Ph.D. in Business Administration from the University of Michigan. He is co-author of several books including: Principles of Marketing (4th edition, Harper Collins, 1995), Marketing Research: An Applied Approach (5th edition, McGraw-Hill, 1996), Promotional Strategy (9th edition, Pinnaflex Educational Resources, Inc., 1999), and Cases in Marketing Management (7th edition, Richard D. Irwin, 1997). His research activity has resulted in publications in numerous scholarly journals including: Journal of Marketing, Journal of Marketing Research, Journal of Consumer Research, Journal of Public Policy and Marketing, and Journal of Business Research. He is former editor of the Journal of Marketing and former founding editor of the Journal of Public Policy and Marketing. Tom is also active in the entrepreneurial community as a co-founder, adviser, angel investor, and Board member of numerous start-up companies. Scott Freehafer is an Associate Professor of Business at The University of Findlay in Findlay, Ohio. He earned his Ph.D. from Capella University, a Master of Education from Ashland University, an MBA from Miami University, and a Bachelor of Science in Business Administration from Ashland University. Scott is certified by the Human Resource Certification Institute as a Senior Professional in Human Resources (SPHR) and by the Society of Human Resource Management as a Senior Certified Professional (SHRM-SCP). Scott teaches undergraduate and graduate courses in Human Resource Management, Business Ethics, and Business and Society/Corporate Social Responsibility at UF. He was the Director of the MBA and Degree Completion Programs for 4 years and later was responsible for MBA Admissions and Advising. Prior to joining UF in 2006, he served at Ashland University as the Assistant/Associate Director of the MBA and BSBA programs, as the Coordinator of the Evening and Weekend Programs, and part-time as an Assistant Professor of Business between 1989 and 2006. Scott’s dissertation was on Business Ethics Education as AACSP and ACBSP Accredited Schools and he has been published in this area as well. In addition to managing MBTN, Stu James is also the founder of Interpretive Simulations, one of the leading publishers and developers of business simulations worldwide. Interpretive’s products are an integral part of the curriculum at many of the world’s top business schools in the areas of marketing, strategy, management, and international business. Stu has co-authored over 10 simulation products including PharmaSim (Marketing Management), StratSim (Strategy), CountryManager (International Marketing), and BizCafe (Intro to Business). On the academic front, Stu facilitates programs at the University of Michigan (EMBA), and at the Darden School of Business (MBA Core Marketing and Custom Executive Programs). Truth be told, he would probably prefer to be playing or teaching Irish traditional music.